Main level living at its finest in the heart of Rockrimmon! Welcome home to this former Parade of Homes, move-in ready 4 bdrm, 3 bath custom ranch style home. Pikes Peak views, an open floor plan indoors with plenty of space for everything & everyone and inviting outdoor spaces to be enjoyed year-round. 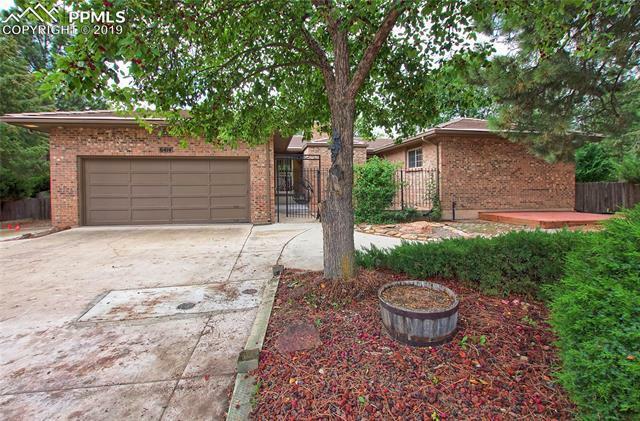 Updates throughout, fresh interior paint, new kitchen appliances, a relaxing sun room and backing to the Santa Fe Trail and open space on 3 sides with large lot and mature trees, you will be calling this one home in no time!